Hyperion's record of the month for June is an intense and enthralling musical journey of powerful Russian twentieth-century music performed by the charismatic cellist, Alban Gerhardt and highly acclaimed pianist Steven Osborne. 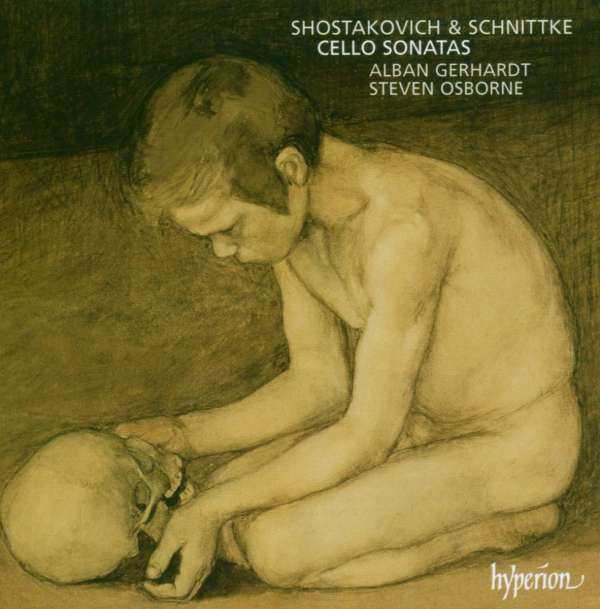 Shostakovich's Cello Sonata Op 40 received its premiere in December 1934, in a period of great personal turmoil. Its return to a much more conservative style did not fade his image – due to the impact of his opera Lady Macbeth of Mtensk – as the Soviet Union's enfant terrible which had created a difficult situation against a furious Stalin and the régime. The impact of censorship on Shostakovich's musical progress resulted in works with deeply personal and powerful statements which can be heard on this disc. His Eleven pieces for cello and piano – eight of which are recorded here – are a collection of arrangements of Shostakovich's ballet and film compositions, the best known being the Nocturne from the film The Gadfly. 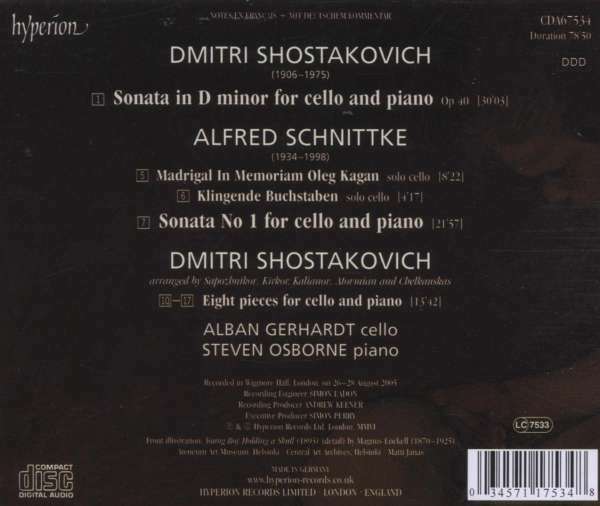 Also on this disc is Alfred Schnittke's First Cello Sonata, in which he takes the basic major / minor third and the perfect cadence and subjects them to extreme magnification resulting in an exploration of harmony, atmosphere, drama and anguished searching.